Diva Says What: Pop Goes the Cake Ball! 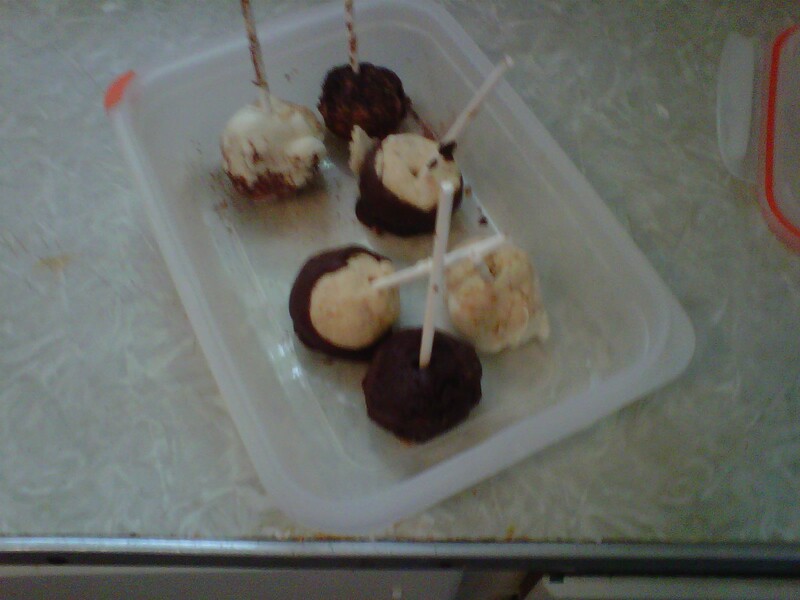 I finally made cake pops last week. FYI, they are NOT as easy as they look. But they are much funnier to make if you make them with a 5 year old who does not have the slightest hesitation when it comes to flinging batter and licking the spoon. While these pops will never when any awards for beauty, they were sinfully delicious and so much fun to make. This could be an awesome decorating activity for a kids party if you could actually bake and form the balls ahead of time, and figure out how to eliminate the chocolate mess. I was finding chocolate all over my clothes, legs, and forehead for the rest of the day when I made them...And then I found about 3 in my stomach...OOPS!